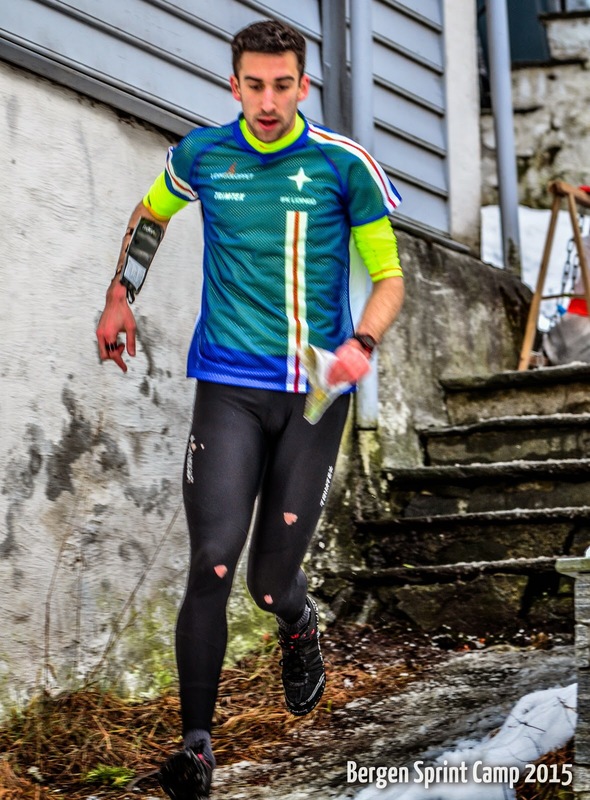 In late January I headed to Bergen in Norway for my first Bergen Sprint Camp event. The idea was to get some really good sprint sessions done and in turn get good feedback I need to hopefully improve in sprint. If I had any goal for the weekend beforehand it was to qualify for Sunday’s final for the top 6 runners based on the results of the previous 3 races. With top international competition and demanding courses I had a high target. Norway is probably known more for its technical and tough forest terrain rather then its sprint terrain. Bergen however has many great sprint areas maximised by high quality course setting. Unfortunately it had snowed the day before the camp was set to start. This didn’t however take away from getting what I wanted out of the weekend. Snow was cleared from the roads and only really affected route choices over open areas. The weekend started really well results wise in the night sprint where I finished 2nd to Yannick Michiels. I was pleasantly surprised as I had started rather poorly. Probably rusty from lack of sprinting last few months. However this was the type of course where everyone lost time at some stage. This set me up nicely for the rest of the weekend results wise. Saturday’s sprint in the city centre was probably as good a race technically as the night sprint but my speed was the main factor here to me finishing in 8th place. The afternoon’s urban intervals were again very stable and I was pleased with my performance directly afterwards. However once I got a chance to see the results I was kind of surprised to only have finished 11th. Probably a little more tired then the others and the high level of competition meant I had to really run well to get those top results. It did mean however that I comfortably qualified for Sunday’s final. Going into this I knew it was not going to be easy looking at my competition. All have better sprint results at world champs then me. Adding how I felt physically I knew that my only chance was to continue to not make mistakes and hope the others did. This proved to be the case as physically I wasn’t much in the way of competition but my clean navigating still had me in with a shout about 2/3 of the way around. Began to get really tired after this stage and stopped looking for smarter routes and just followed them. Towards the end I was washed out the back resulting in me ending up 6th and last in the final. Another great part of the weekend was the analyses that Jan Kobach had done on all the courses. It meant that we could see exactly where we had done things well and also where we had lost time. By the end of the weekend however Scott Fraser was driving me and Yannick mad with all his orienteering geeking wanting to load all his routes up and compare splits with us directly after each session. Here you can see all the maps and SPAS analyses and GPS in the camp’s webpage. I can take a lot away from the few days in Bergen and is it to build towards my main sprint goal for the season, WOC sprint, where I hope to deliver by far my best performance to date. 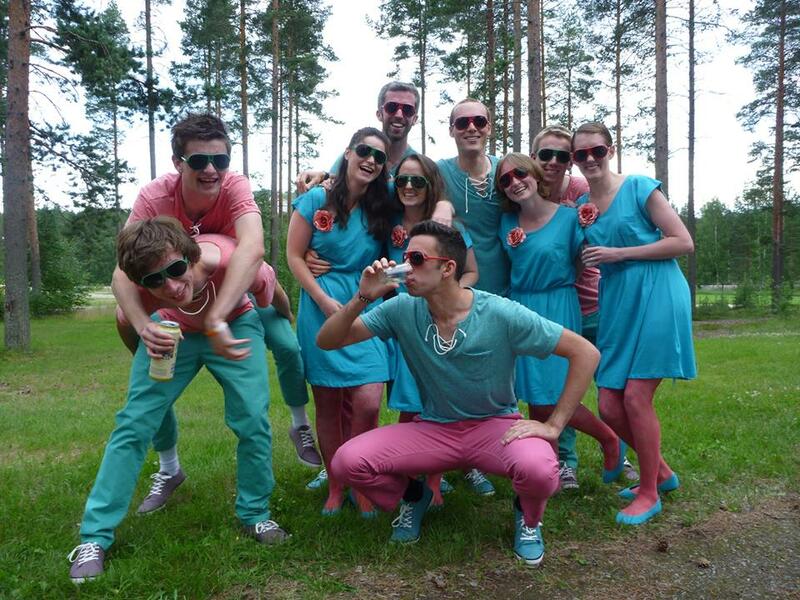 The following weekend a group of friends and I from the orienteering High School I attended headed to Örebro for an annual get together which is now a tradition. We book a cabin in Kilsbergen. Get to catch up properly, train and take it easy. This year it also happened to be 10 years since the the school had opened. They had invited all the past pupils and staff back for the day to celebrate. Even though we were only in Hallsberg for the day it was nice to relive old memories and see that not much had changed since we left. Next on the cards is IFK Lidingö’s winter training camp mid February. Will be nice to break up the winter with a week in warmer climates with the club. Stay tuned!! The days before a major champs are usually pretty boring waiting around to get started. Training is basically nonexistent and you’re just resting up. 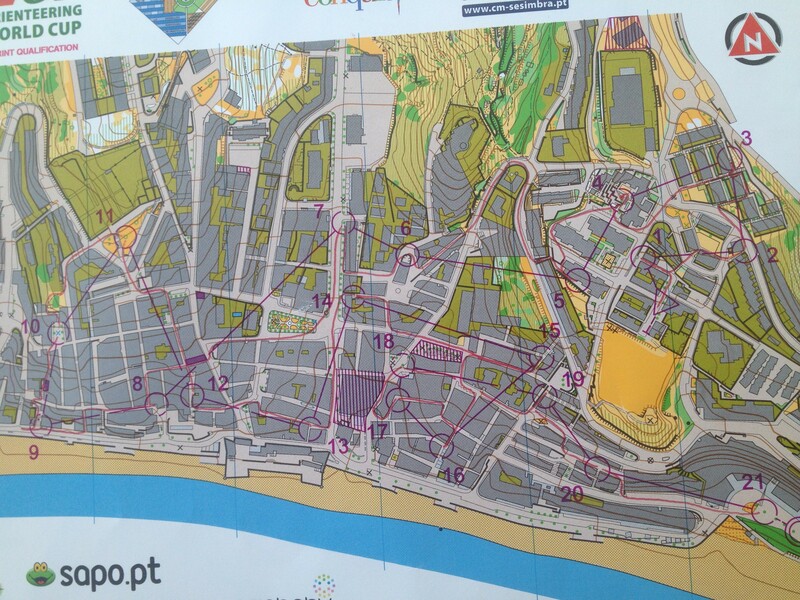 This was no different here in Portugal for this year’s European champs. My first race was the Long Qualification on Friday and I had the chance to get out on both the Qualification and Final Models on the two days before it. The Qualification Model gave me some good help to put a good plan in place for how I wanted to run my qualification race. I knew that my shape was good enough not to take any risks and could be extra safe by going around the green. Warming up the legs felt really fresh and ready. Usually in Long Qualification races you can have a very general idea of how you are doing by crossing paths with the guys you started around at various stages during the course. 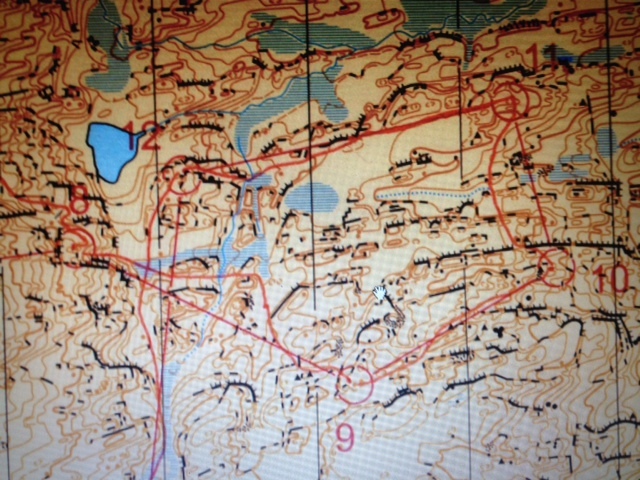 However due to the lack of gaffling during the courses (shown and explained here) I saw Lundanes and Bertuks a lot during the early stages of the course, mostly at the controls after taking different routes. These guys are usually well up there so that give a lot of positive feedback that my plan and what I was doing was working out. My first real mistake came at control 7 where I started looking for the control too early. It didn’t put me off too much and I continued through the middle of the course sticking to my plan and being that extra bit safe. I felt at this stage I was well on course for qualifying having seen a lot of runners who started before me. My second large mistake of the Qualification was on the way to the 16th control where I couldn’t find a way through the green eventually making myself bail out and go all the way around on the track. From there on in the course was pretty straight forward with a lot of transport legs back to the finish. Managed to qualify comfortably in 9th place, 4:29 behind heat winner William Lind. Although the terrain for the Final is going to require a different strategy I can take positives from this race into the Final. Firstly I know that my shape and form is good enough that on my day I can be very competitive. Also despite all the pack running that seems to have taken place I ran more or less alone apart from the final 10 minutes of the course giving me the confidence to back my own choices come Tuesday. The day after was the Sprint Qualification and knowing that I was in good form I was feeling good for this. The plan was to take time to plan ahead and not get rushed in quick routes choices. The start of the course was not great and in hindsight I would have chosen different routes on legs 2, 3, 4, 5, 6 losing precious seconds on all of these. Things started to unravel however at the 9th control (the misplaced one!). From about 50m away from what should have been the control location I started planning ahead. When I arrived to the control point I saw no control. The mind started to panic and I continued running thinking I had stopped too early but turned back again quickly as I was sure I was right. Then I saw a control on the corner of the other building a couple of meters away. I ran to it, saw it was my code and punched it. The time loss was not major, but enough to throw me off. My biggest mistake came on leg 10-11 where I choose a risky route and paid the price of about 25 seconds time lost by going left. What is most interesting about this is the fact that the sprint model map had controls in this area. Yes – the embargoed competition area was part of the model map! Due to the organizers not having handed out sprint model maps until Thursday night we were only able to run the model on Friday, the day of the Long Qualification which gave me no chance to be in the area. Had I been able to attend the model and to see how bad the yellow/green was I would have probably chosen a different route or at least been able to find the path through the green. My guess is that somebody was given the task to plan a last minute Sprint Model on an updated map and didn’t consult with the Sprint Qualification course planner or controllers. From here on in I really pushed knowing that I was more than likely on the edge of qualifying. I ended up in 23rd, 19 seconds from qualifying. In hindsight I left that misplaced control affect my thoughts too much from there on into the finish. But up to that point my run was not perfect and if the control was placed correctly I would still have only been borderline to qualify. We submitted a complaint based on the fact that control 9 was in the wrong place but this was turned down by the organizers as they deemed the time loss on this control alone not to have cost me missing the final. We accepted their decision and chose not to submit a protest. During the time waiting for a decision I had already accepted that I wouldn’t be running the Sprint Final and instead focussed my energy on the Long Final. I would obviously be lying to say that I’m not disappointed not to have run the Sprint Final but hopefully the IOF adviser and organizers have made one good decision this week by rejecting my complaint and giving me the best chance possible to prepare for the Long final tomorrow. Sitting in Schiphol airport Amsterdam with a 5 hour transfer alone gives one time to reflect on the past-while but also think about the not to distant future. Reason I find myself sitting here is due to the fact that I’m heard to Portugal to compete in the Europeans. One of my main goals for this season. What exactly I expect to achieve is hard to say due to the fact that the season has just started and knowing that I have trained really well means I myself don’t really no where I stand right now. Making it all the more exciting to get out there and mix it up with the best. However a minimum must be qualifying for finals in Sprint and Long and then who knows!! The main reason I have not posted anything on the blog for the last 6 months is not due to the fact that I have had nothing to write about actually quite the opposite. Also if you know me you’ll also know that I’m the kind of person who if I don’t have the desire to do something the chances of me do it are pretty slim. Anyway back to what has been going on. Winter/pre-season training started all the way back in november which seems a while ago now but the time has flown by. During this period which is the foundation of a good season I have been able to put my best period of training almost uninterrupted train together. From which I have been able to see the results of over the last while or so. I haven’t done anything very different training wise just done almost everything that bit better and tougher then the past years. Stockholm weather wise has been pretty kind to us this winter meaning that I have been able get a lot of good km’s under my belt and do plenty of quality training in the forrest with map in hand which will be key if I’m going to continue my improvement. The environment I have put myself into is also a key factor for the winter going to so well with top quality competition for me to push myself and the right support to get me to where I want to go in 2014 and hopefully in the future years also. On top of all the good and consistent training I have been doing in stockholm I have had the chance to get away on training camps abroad. 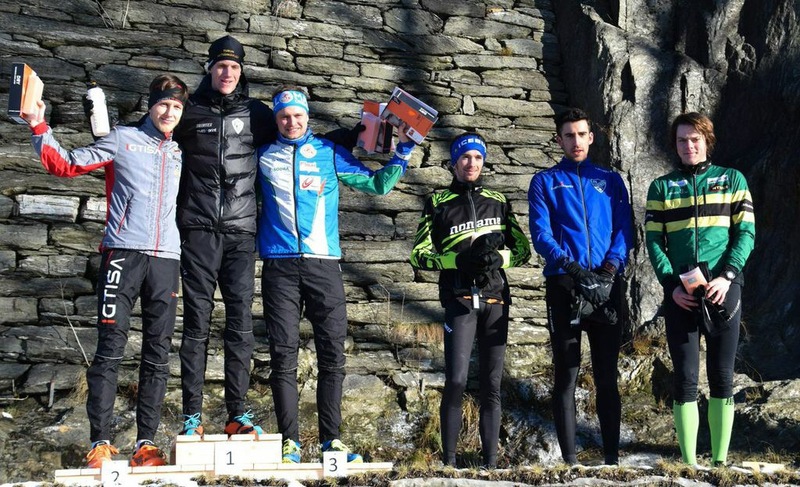 In october we went on a WOC training camp with the club in Asiago Italy getting a chance to get a good idea of what awaits us in July at World champs and I was there again in march for the MOC training camp organized by Janne salmi with the camp this time focusing purely on sprint. It was really good preparation both technically and with 12 of the top 15 from last years Sprint at World champs sprint taking part in the camp it gave me the perfect chance to see where I stand against the very best. 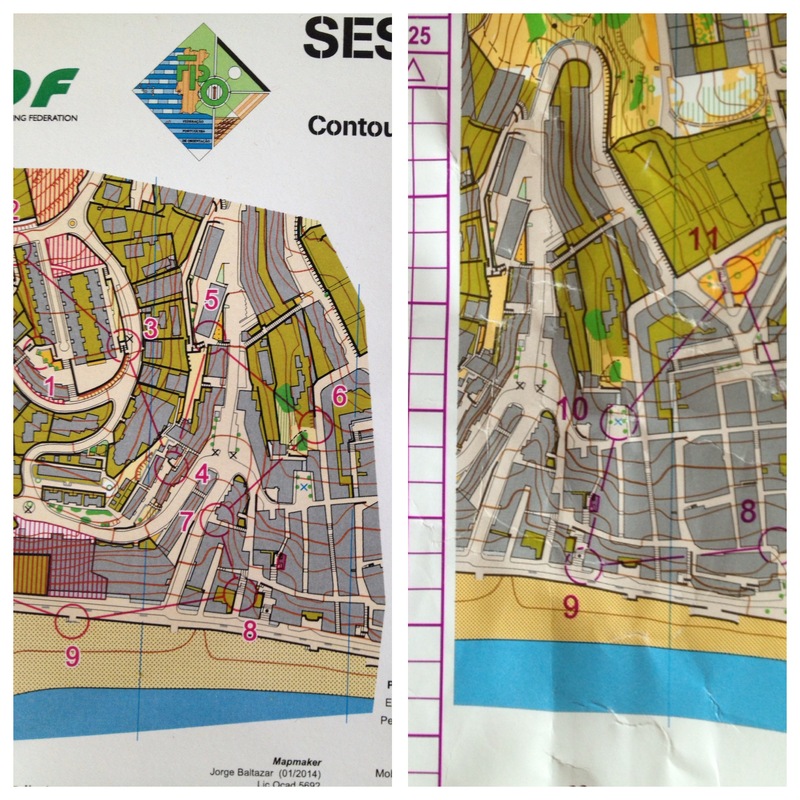 The other main camp abroad was again with the club in Barbate, Spain during February where I managed to get a lot of good technical orienteering done in the fast forested sand dune terrain on offer. I have also moved out of my old apartment on Lidingö and into a house on the island which the club has kindly fixed for us. This has been a great help personally motivation wise over the winter as living with other orienteers means that I nearly always to the option to train with someone. Something which I value highly and find really important. We are 5 guys living together from five different corners of the orienteering world meaning that each of us brings something different to the table in every sense of the word. As I wrote in further up the season has just kicked off for me. From the chances I have had in the last few weeks to pitch myself against others orienteers in small competitions by scandinavian standards signs are looking good. 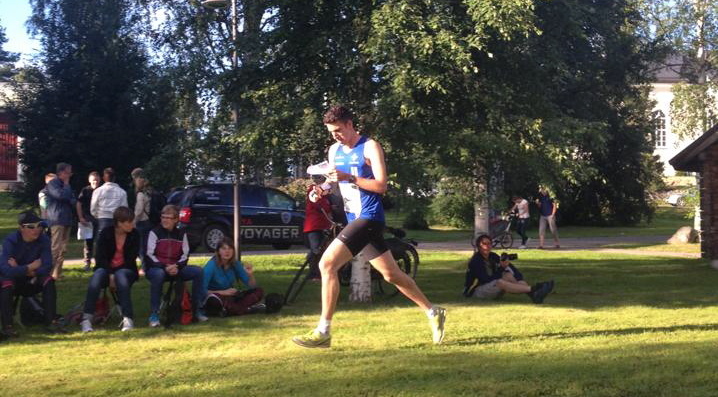 2014 has every chance of being a exciting year both for me individually and with IFK Lidingö in the big relays. This weekend I headed way out west to Gothenburg. A city where one drinks coffee with friends and drives through the endless industrial areas that city has to offer. But I was there for neither of these. I was going to be competing at the Swedish Champs Long distance. My training has gone pretty well lately even if the quantity has not been that high during August. So I was hoping that my best shape for this autumn had come at the right time. 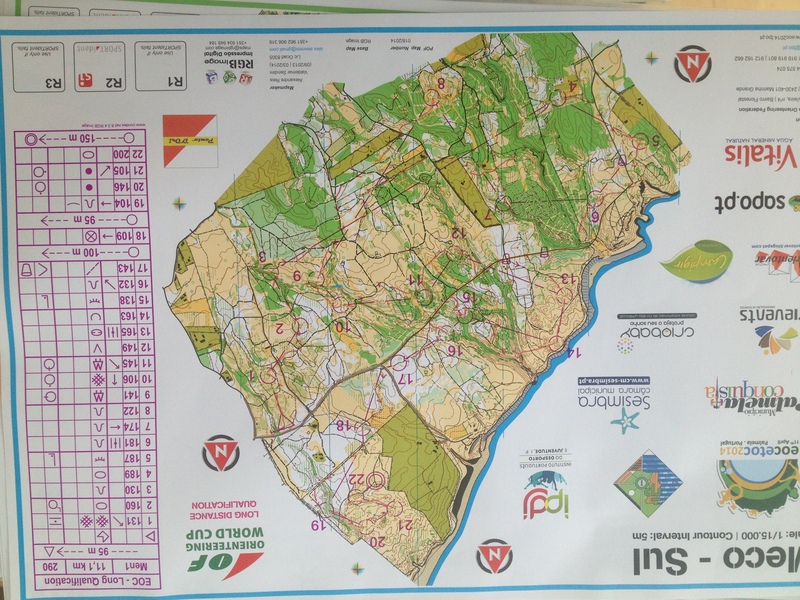 I am really happy that I could orienteer technically so well in this terrain for nearly 3 hours and had the shape to get a result that I am proud of. I’m looking forward to this weekend’s Middle and Relay and then 25 Manna and hopefully ending the season on a real high. Finally a huge congratulations to my clubmate and good friend Filip Dahlgren who took the Gold medal in what has to be said was a really impressive performance in such challenging terrain. With a margin of nearly 3 mins he was a worthy champion. Congratulations Fille!! After WOC I had a couple of days in Stockholm to enjoy a little of the Swedish summer without having orienteering as my number one focus. I also couldn’t wait to get up the Oringen and experience the north of Sweden. This year I was living it large accommodation wise as I had upgraded myself from a Tent to a house just outside Boden by the river. I didn’t have any real goal in terms of performance but seeing as I had to retire from last years Oringen I really wanted to finish it this year. As we arrived a few days early we had the chance to experience the terrain on offer. The terrain up in this part of Sweden is characterized by large detailed hills and very rocky terrain underfoot. The first stage started off in the worst possible way by missing the 1st control. I managed however to only make one more notable mistake on the technically and physically challenging first stage. It was an ok start but could have been better for sure. 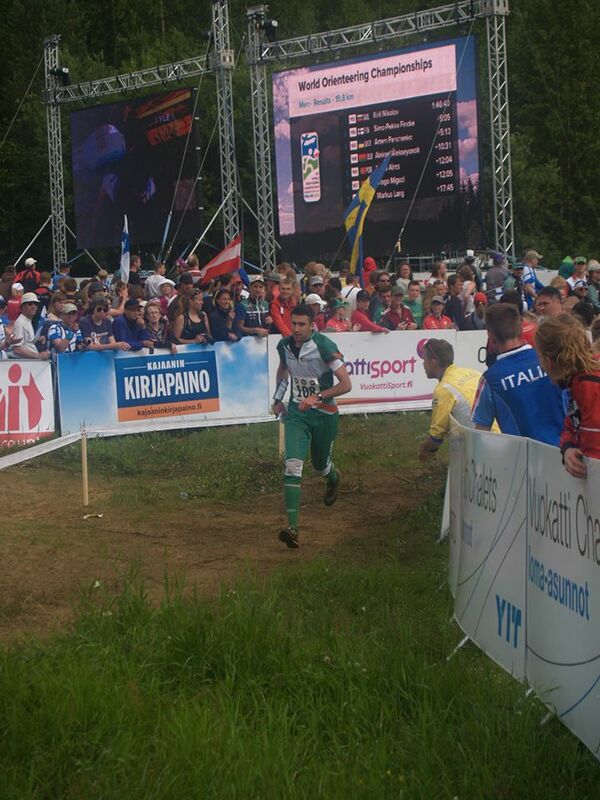 The highlight of the week for me and probably most other elite runners is the Oringen Sprint. 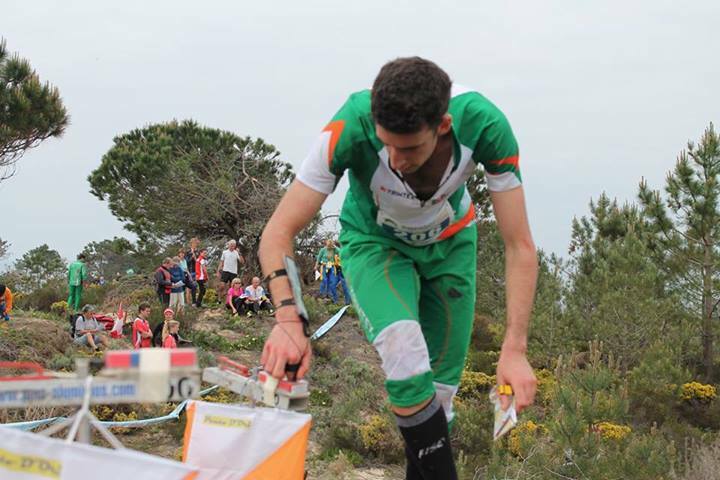 For us orienteers it is a rare chance for us to show our skills, or some times lack of them, in front of a live crowd not only assembled in the arena but also using the chance to get out on the course and watch us in action. Some people might find this daunting but I seem to get a real buzz out of a crowd and manage more often than not to put really good performances together and this was no exception with my best stage result of the week 18th and a result I was pleased with as I had not been focusing on Sprint at all in the run up to WOC this year. Overall I’m not totally happy with my Oringen performance and it is clear as always and even more important in the Elite class that a high standard of performances have to be held through out the week to achieve a good overall result. Now I have taken a few days rest mainly due to sore muscles and some knocks I managed to pick up in a soccer game World XI vs Sweden XI on the last day. The knocks and pain was well worth it. Right now I’m at home in Ireland taking it easy and starting a period of base training again for a last push at the autumn season. I had a rest day on Monday and just took it easy watching the Sprint Final on TV at the accommodation. Apart from the atmosphere and crowd at the arena I have the say that sprint is probably the most uninteresting/confusing distance to watch on TV, with too much happening to keep up with. I leave the week with mixed feelings, happy with certain parts and for sure things that I could have done better. Can only learn from it and come back stronger next year. One interesting part to my week was that our Team Manager for WOC this year was Paul O’Sullivan Hourihane. 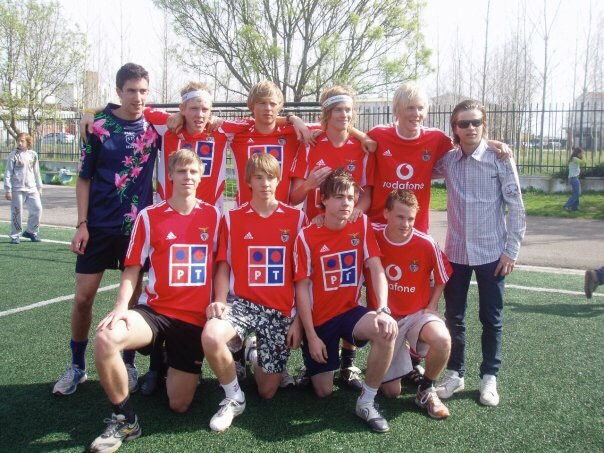 He was the one who introduced me to the sport at a Family Day at primary school. On the way to the Long Final in the bus with him, it was nice to think back to the first event he brought me along to. Who would have guessed that that evening in Rostellan Woods would have started me on this incredible journey over the last 12 years. Home sweet home!! That’s what they call it, right! Well last weekend I had the chance to return home for the first time since November. I was expecting to be greeted by wind, rain and a little more rain but instead it was the total opposite – great weather. It was nice to see family and friends again but I was there for other reasons also. Every second year the magical south west corner of Ireland plays host to the Shamrock Oringen. 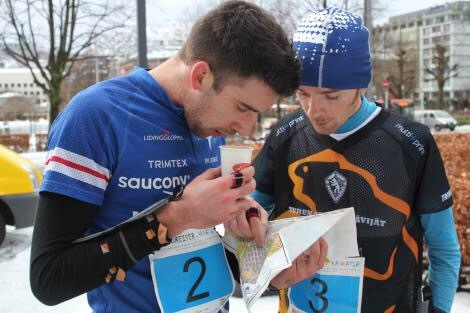 A three day orienteering event that has it all. Beautiful scenery, challenging and tough terrain and finally a great social atmosphere for the entire event. It’s unique in many ways and you could say is organized the Irish way. The terrain is open mountain with lots of contour and rock detail. It’s easy to think that the runability is good but this is far from the case. Long uneven grass and soft ground makes the going tough and with nearly no tracks your legs rarely get a chance to recover. 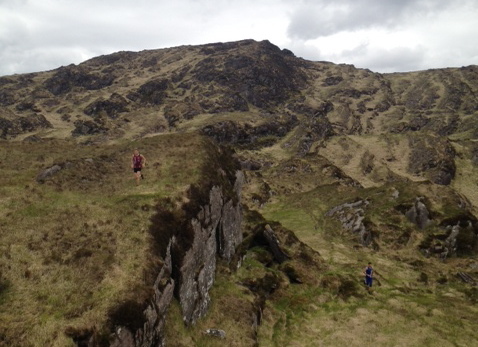 The Long Distance on Day Two is on one of the best maps I know, Crohane Mountain. It played host to a stage of the World cup in 1998. When up here it’s hard not to be in awe of the surroundings. The course was well planned and used the terrain on offer well. The race for me went as good as I could have hoped with only a few minor mistakes and I was able to push hard the entire way. I ended up winning Day Two by just about 1min. (Map, results). After the race, having not had enough of the open mountain, Erik, Niklas and myself went back up that afternoon to a really cool area of Day Two’s map to run around and take in the scenery. Overall I really enjoyed the weekend. My orienteering let me down too much and this was the difference between me coming 2nd overall and Erik who was a worthy overall winner. With a cleaner race on Day One I could have given Erik a better fight on the last day. I will be back for the Shamrock again in two years hopefully. For those orienteers who have not been to Ireland this is the perfect way to enjoy the culture and scenery our country has to offer and also get some great orienteering in at the same time.